Buying a newer vehicle is something that should always take some careful consideration. It is important that you not only find a good price on the vehicle that you want, but that you also have a vehicle that is going to be able to last you for quite some time. When you work with Carson Cars, you can rest assured that you will have our guarantee that you will have your choice of some of the best pre-owned cars for sale in Edmonds. Shopping for a new to you vehicle is a lot easier when you have the expertise of a staff that has been dedicated to selling quality vehicles to their customers for many years. As a matter of fact, Carson Cars is proud to say that we are a family owned and operated used car dealership that has been in business for nearly 50 years. During this time, we have worked to supply dependable, affordable vehicles to all of our customers while maintaining award winning customer service that you can always count on. All you have to do is ask a lot of our past customers and they will be happy to tell you what a wonderful buying experience they had. Do you feel as though you are not able to buy anything unless you go through a private sale due to bad credit? Our team at Carson Cars includes an in-house finance team that is ready to work with you to get the pricing and loan that you need on a newer vehicle. If you are looking for quality local cars for sale, call Carson Cars at (855)583-9356. 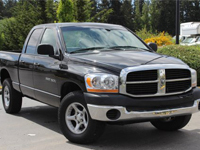 We have the best selection of pre-owned cars for sale in Edmonds.